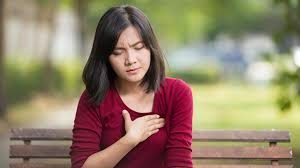 More than fifty percent of pregnant women will experience the symptoms of heartburn during pregnancy. The symptoms usually intensify during the second and third trimesters. Usually, it is a burning sensation in the esophageal area which is caused by stomach contents that back up into the esophagus. Heartburn during pregnancy can occur because the hormone levels are changing and this affects how the muscles in the digestive tract work. It also affects how various types of foods are tolerated by the body. The change in hormones causes the lower esophageal sphincter to relax. This allows acid from the stomach to go back into the esophagus. Plus as the uterus enlarges it crowds the abdomen and forces stomach acids back up into the esophagus. There are some ways to prevent or treat heartburn during pregnancy. Prevention is much better than treating acid reflux, especially in pregnancy. The way that meals are consumed can be changed. Instead of eating three large meals try eating five or six smaller sized meals throughout the day. When you eat, slow down and chew your food. This will aid in the body’s digestion process and reduce stomach acid. Remember to not lie down right after you eat. Although you need to increase your intake of water while you are pregnant, do not drink as much with your meals. When large amounts of liquids are consumed with a meal it can increase the amount of acid made by the stomach and increase the risk of acid reflux. There are some specific foods that cause the lower esophageal sphincter. The risk of heartburn during pregnancy is increased when you eat these types of foods. Fried foods, spicy foods and real rich foods are some of the worst culprits. Chocolates can also cause irritation in the gut for some people. Acidic foods like tomatoes, citrus fruits can also lead to heartburn. There are a couple of non-foods things that can be done to help reduce the discomfort. Raise the head of your bed just a little higher than the foot of the bed. Place a couple of bricks under the posts at the head of the bed to raise it slightly. Books work well too. If it is not possible you can elevate your head by propping yourself up on pillows. This can bring some relief from the uncomfortable symptoms. There are some common over the counter medications that can be used to treat symptoms. However, always discuss them with your doctor to make sure that they are safe options for you and your baby. Discuss various options for relieving heartburn during pregnancy with your doctor.